Allee Willis is a one-woman creative think-tank- a multi-disciplinary artist and visionary thinker whose range of imagination and productivity knows no bounds. Inducted into the Songwriters Hall Of Fame in 2018, Willis is a Grammy, Emmy, Tony and Webby award-winning and nominated songwriter, performer, visual artist, multimediaist, director, collector, social artist, and party thrower. Her hits-including Earth, Wind & Fire's "September" and "Boogie Wonderland," The Pointer Sisters' "Neutron Dance," Pet Shop Boys with Dusty Springfield's "What Have I Done To Deserve This," and The Rembrandts' "I'll Be There For You (Theme From Friends)"-have sold more than 60 million records. Willis also co-authored the Oprah Winfrey-produced Tony, Emmy, and Grammy-winning Broadway musical The Color Purple, which is being made into a major motion picture in 2019 produced by Steven Spielberg, Oprah Winfrey, Quincy Jones, and Scott Sanders. After an original run on Broadway from 2005-2008, a revival of The Color Purple directed by famed theater director John Doyle returned December 10, 2015, opening to unanimously rave reviews and winning both the Tony for Best Musical Revival and the Grammy for Best Musical Theater Album. New York Magazine called it "one of the best musical revivals ever" while The New York Times praised it as "a miracle on Broadway...a glory to behold." The Color Purple ran for fourteen months at the Bernard B. Jacobs Theatre and starred Jennifer Hudson, Danielle Brooks, and Cynthia Erivo, who won the Tony, Grammy, and Emmy awards for her portrayal of the lead character, Celie. On September 28, 2017, Willis, a world renowned party host, premiered her passion project for her hometown of Detroit at the Detroit Institute of Arts, the fifth largest museum in the world. Recorded at over 70 sing-alongs around the city between 2013 and 2015, Willis wrote and produced "The D", a love song to the city featuring 5000 vocalists and musicians, more people in history than have ever been on a record before, as well as directing, producing, editing, and art directing a matching micro-documentary. "The event, and the video for the song, embraced a vibrant, musical Detroit, and Willis's recognition and love for Detroiters - all of us - is significant and heartening. Many expressed their astonishment at her acknowledgement of us, and I daresay that this may be a nodal point in Detroit events, a kind of before and after against which other events will be compared," said Detroit luminary Marsha Music. Willis' live shows, including sold-out runs of "Ba-de-ya, Baby!" and "Allee Willis' Super Ball Bounce Back Review," have drawn raves as Willis celebrates her life in music and art with her greatest hits sing-alongs, stories, huge live band, dancers, special guests, motorized art, games, videos, mid-show foot massages via Manly Handz, all delivered with her signature party vibe (People magazine has written that "tickets to Allee Willis' ultra-exclusive parties...are the campiest hot tickets in LA"). In addition to future versions of her innovative, interactive, and inimitable stage review -- a "one-woman show with 25 people in it" -- Willis has also become a regular headliner at the legendary comedy review, UnCabaret. Willis first returned to live performing after a decades-long absence in 2010. She broke the ice by going back to her college, the University of Wisconsin, to conduct the school's 350-piece marching band through a medley of her hits during halftime of the Homecoming football game, before 82,000 fans. In 2011, she launched "Allee Willis Marches on Detroit," an ongoing series of events and fundraisers dedicated to her beloved hometown-with another marching band event, this time in Detroit's historic Fox Theatre with students from her alma mater Mumford High-the school that became famous in the film for which Willis won a Grammy for Best Soundtrack, Beverly Hills Cop. The cast of the national touring company of The Color Purple sang along with the students as Willis conducted. A second "Marching on Detroit" event took place in 2012 when Willis staged the "Last Call Before The Wrecking Ball" concert at Mumford, where students sang, danced, and played their way through her hits just a month before the school was demolished. On that same visit to Detroit, she was honored at Cass Technical High School, which was the first high school in the U.S. to license, and the second to produce, The Color Purple. Wilis also received a "Spirit of Detroit" award from the City Council for her work on behalf of Detroit to date (previously, in 2008 she received an official "Testimonial Resolution" from the City as well). For the stage, Willis co-wrote (with Brenda Russell, Steve Bray, and Marsha Norman) the Oprah Winfrey-produced Broadway musical The Color Purple, which opened in December 2005 (in early 2006, Willis had seven of her hits featured in the Earth, Wind & Fire-themed musical Hot Feet, making her the first woman -- and only fifth person ever -- to have written music for two shows opening on Broadway in the same season). The Color Purple ran for two-and-a-half years, recouping in less than one year, a rare accomplishment for any musical. As reported by the New York Times, Willis, Russell and Bray "worked in their idiosyncratic style, mixing high-tech tools - Ms. Willis' 17 networked Macs, which they used for research, and programs that allowed them to digitally record complete orchestrations - and very low-tech instruments like an old manual eggbeater or sandpaper." The process the Times mentions echoes Willis' own evaluation of her fundamental style across all the disciplines as "a blend of the highest tech and design and the lowest Kitsch." There have since been three national tours -- the first starred Fantasia as Celie. Willis (with Russell and Bray) also produced a recording of her singing the song "I'm Here," live with a 40-piece orchestra. A 2012 independent production of the show in Los Angeles at the Celebration Theater was honored with 13 Ovation Awards. Many productions around the U.S. have also won local theatre awards. Willis is the curator of The Allee Willis Museum of Kitsch at AWMOK.com, a Willis-designed social network with galleries, art, music, chat, video and live events. Launched in late 2009, it features Willis' world's largest collection of Kitsch artifacts as seen on her popular "Kitsch O' The Day" blog as well as submissions made by visitors to the site. AWMOK.com promotes a vibrant and unique form of social interaction, inviting like-minded "aKitschionados" to upload images and descriptions of their own prized Kitsch. Willis is an internationally shown visual artist as well, and her paintings, ceramics, motorized sculptures and furniture are widely collected. 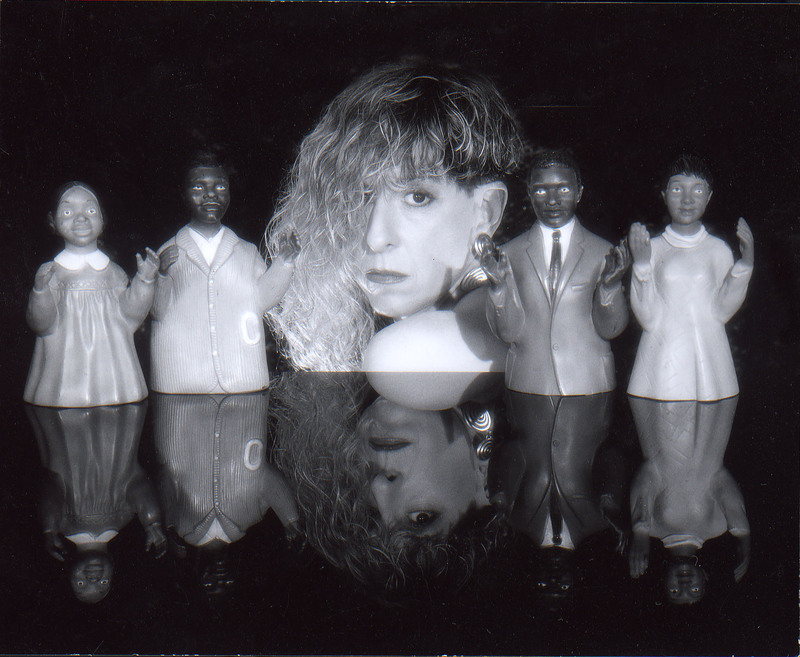 Willis' first solo gallery exhibition, 1985's "Wear The Right Clothes Even At Home," featured kinetic sculptures, many named after her hit songs, including "Neutron Dance" and "Boogie Wonderland." Her expansive vision further extends to art direction, set design, and animation. Many of the more than 2,000 pieces of art Willis has sold were done in tandem with her fearless alter-ego, Bubbles the artist. Within months of Bubbles' first painting in 1999, it was rumored in The New York Times that Willis actually was Bubbles the artist. In a feature on Willis, People magazine once called her artistic overdrive, "a multi-threat creativity that itself seems like a Godzilla out to conquer Lalaland." Willis has long braved new worlds of creative endeavor integrating music, art, video, multi-media technology and lifestyle via a series of works in which she co-composes, sings, plays, produces, draws, animates, directs, designs web worlds for and stars in. The first such release, "Allee Willis Presents Bubbles & Cheesecake "It's A Woman Thang"--- part of a 6-song collaboration with singer-songwriter Holly Palmer (a.k.a. Cheesecake) -- was selected as Official Honoree in The 2008 Webby Awards, and won three 2008 W3 Awards. Her second video, "Allee Willis Presents Bubbles & Cheesecake "Editing Is Cool", was also 'featured' on YouTube and won three 2008 W3 Awards. At one point, Willis' 2009 video "Hey Jerrie"-- co-starring Jerrie Thill, a 91-year-old female drummer on an oxygen tank -- was the 12th most popular video worldwide on YouTube. Willis is also a cyber-pioneer who conceptualized Internet realms and was an outspoken advocate for them back when "new" media was unknown to most. In 1991, a positively Paleolithic age in terms of mainstream computer use, her home was the first fully-wired, networked location in Los Angeles (in the next decade, it went on to become one of the fst all-fiber houses). From 1992 until 1997, she and partner Prudence Fenton dove headlong into developing willisville, the first social networking portal. Willisville featured a radically new approach to interactive content, employing narrative frameworks to navigate the site intuitively, and merging multiple technologies and platforms into one story-driven interface. In 1994, willisville's CEO was seminal entrepreneur Mark Cuban. Early on, Fortune Magazine cited it as one of the emerging Internet's most exciting companies, and its progress was also tracked by the Wall Street Journal and the New York Times throughout the 1990s. In 1999, with Lily Tomlin and Jane Wagner -- and in tandem with Bubbles the artist -- Willis also designed lilytomlin.com, a non-linear journey through Tomlin's life, characters and Tony-winning play, The Search For Signs Of Intelligent Life In The Universe. Starting in the early 1990s, Willis consulted for Intel, Microsoft, AOL and Disney and created virtual worlds for a variety of other entertainment and technology companies. In 1997, representing 3,000,000 BMI songwriters, she addressed the U.S. House of Representatives Judiciary Subcommittee on Courts and Intellectual Property regarding artist rights in cyberspace. Regularly called upon to speak on the nascent Internet, she keynoted the very first Digital World conference in 1992 with AOL founder Steve Case and Intel founder Andy Groves, and in 1996 lectured on interactive journalism to a group of prominent print and television journalists at Harvard University. In 1995 and 1997 Willis also delivered two TED talks on artists and self-expression in cyberspace. Willis credits her hometown of Detroit, where the music of Motown got in her blood, as her creative inspiration. She has never learned to read, notate or play music, despite writing both music and lyrics for her expansive hit catalog. She earned a degree in Journalism at the University of Wisconsin before moving to New York in 1969. She landed a copywriting job at Columbia and Epic Records, and in 1972 turned to music and songwriting. Her first ten songs were released on the 1974 Epic album, Childstar. Bonnie Raitt, a fan of the album, gave Willis her first cover that year as she was working as a hat-check girl at the fabled Manhattan nightspots Catch A Rising Star and Reno Sweeney's. Willis then moved to Los Angeles, where she landed a publishing deal at A&M in 1977 after being turned down by almost every other publisher in town. In 1978, she sold ten million records and has since collaborated with Bob Dylan, James Brown, Herbie Hancock, and literally hundreds of other music luminaries. A Grammy winner for Best Soundtrack for 1985's #1 album Beverly Hills Cop, Willis is one of pop music's most prolific songwriters. In 1987, Willis authored a column for Details magazine, "Some Like It Smog," in which she introduced her proudest musical kitsch discovery, The Del Rubio Triplets, mini-skirted octogenarians who went on to tour the world and appear on over 20 network television programs. At the same time that Willis' music was regularly climbing the charts, she became a renowned impresario of inspired parties and events-as-performance art. Many took place at her architecturally historic L.A. home, a William Kesling-designed Streamline Moderne gem known as "Willis Wonderland," in a nod to her hit song, "Boogie Wonderland." The house, which has been featured in the NY Times and the LA Times, is filled with Willis' various collections, which represent one of the world's largest assemblages of Kitsch (Willis was actually in the dictionary.com definition of kitsch). Her thematic soirees draw A-list celebrities, art world stars, pop culture icons and other notables. Always press magnets, the parties were early vehicles through which Willis freely expressed all her multi-media talents to serve one fabulous end. Among the most memorable are: "The Night of the Living Negligee, 1-3," a series of all-girl pajama parties, and the "Borscht Belt Birthday Party." The latter was a wry-on-rye affair commemorating Willis being named, "one of the most dangerous subversives living in the U.S." by Russian newspaper Pravda because they mistranslated her hit song "Neutron Dance" as a nuclear-themed "Neutron Bomb". Willis' party-throwing-as-artistic-expression continues to this day. With everything converging, Willis' signature vision and creative intelligence have entered a new phase. As journalist Anne Stockwell wrote in a recent profile, "To understand where Willis is going, you have to open your mind to a degree of inventiveness that's frankly a little scary." And spectacularly fun.